Good morning EXers! !I I haven't blogged much lately, and thought that I would chime in this morning to give you an update on my quit so far..On the evening of 19 April, 2018...I flushed 3 unopened packs of Death, and have not looked back since then. I also chose to not use any NRTs, either patches or lozenges. or chantix...I have not been experiencing any adverse effects of withdrawals am glad that I don't have to go through that again. As of 9:00 last night, my quit counter turned 14 days, or 2 weeks of freedom. Aint it "Kewl?!" Awesome Pops! So proud of you! Thanks RachelMB, that means alot coming from you...You're quit is so solid. It has been great to see how you came in here and simply "got it" from the git-go....WTG! Congrats on 2 weeks, Pops. Sounds like you were So Ready. Have a beautiful day. This is awesome news Pops! Sounds like you were pretty much ready for this quit! Congrats! on 14 days! Way to go Quit buddy! You got this in the bag. Congrats on 2 weeks. Congratulations. I am glad you are not having any adverse effects with your quit. Good Job Keep stacking those days. YAY, POPS! All good news! I still get a kick out of seeing your name here again so regularly Pops! Way To Go! 2 weeks DONE! Very happy you are back Pops, and congrats on 2 weeks! Your cheerleaders are here to help along the way! So KEWL! You sound like a really happy quitter! I am only starting to become happy after 50 something days! Well, I look @ it this way...in my quit journey, I know that I am going to be uncomfortable @ different times...heck outright ticked off is probably more like it...However, suffering is optional....there is no requirement to walk around sulking and angry because I am not smoking. As many around here have eluded to...I am not giving up anything of value, or missing out on something that is fun, or good for me...what I am getting is a healthier lifestyle, and more oxygen to fuel me when I am walking fast, or ascending a staircase, or simply trying to sleep without wheezing and gasping for air. I am gaining in life, by quitting smoking...I am not sacrificing at all. With that being said, why shouldn't I be happy about my quit. Pops, a happy quitter with 14 Days of Freedom!!!!! Woo Hoo!!!!! You are doing great! Although, I haven't spent every moment of quitting happy, I am quit nonetheless! I am coming around. 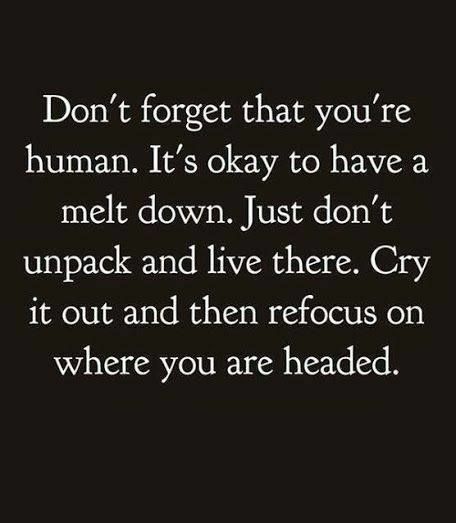 With 50 something days under my belt, I'm definitely not ready to call it unpacking my bags and remaining stagnant here in an unhappy quit. Funny thing about this meme, I use these words all the time! We all feel different with quitting and in another quit, I was feeling happier. I'm not sure the difference, maybe other life circumstances? Doesn't matter though, I AM QUIT! Congratulations on your 14 DOF! Congratulations on 14 quit days!!!! Congratulations on 14 days Pops!! I'm so glad you're not suffering this time around. Kudos on the 15. Watch your back.